Golf will return to the Olympics in Rio 2016 for the first time since St. Louis 1904. 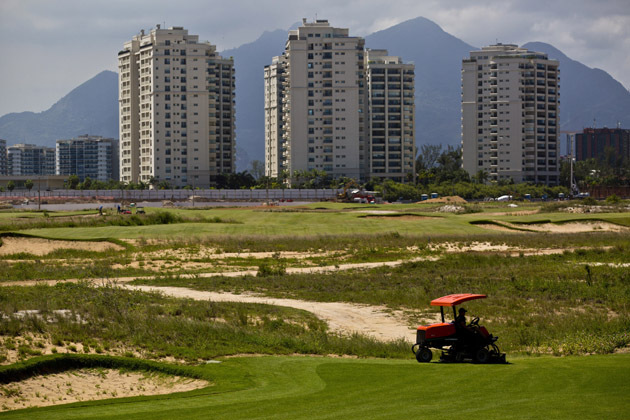 One year out, here's a look at the issues surrounding Olympic golf in Rio, including the course, scheduling, field size and more. The golf in Rio will look very familiar: the format is 72 holes of stroke play, just like the major championships and pretty much every other tournament on television. Ever since the sport was voted back into the Olympics, in October 2009, the golf press has been hostile to the format choice. What makes the Olympics such riveting theater is that the athletes are constantly fighting for their survival, one little misstep from ruining a lifetime of preparation. That win-or-go-home ethos sounds a lot like match play, no? Even the two-man teams that were used for decades at golf’s World Cup managed to create a sense of teamwork and the feeling that you were rooting for the flag, not individuals. But the International Golf Federation, which spearheaded the game’s return to the Games, recommended individual stroke play for more practical reasons, and the IOC was happy to concur. The field size in Rio for both the men and women will be only 60 players, largely because the IOC is working to limit the total number of athletes at the Games. 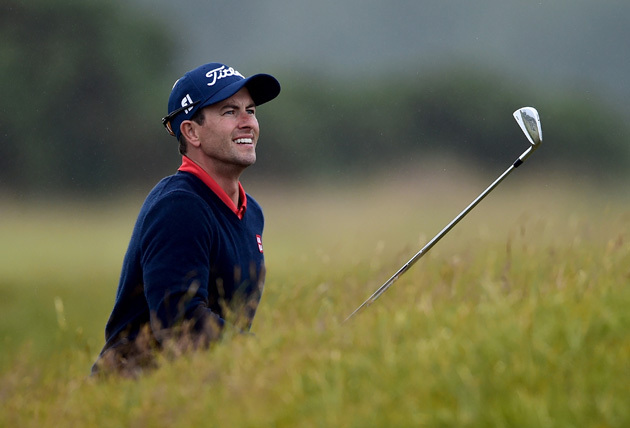 (The U.S. Open accommodates 156 players.) Match play cuts the field in half with every round, potentially reducing fan interest and creating the doomsday scenario of only unknowns from small countries being left in the medal round. “We see extreme benefits in everybody who makes the Olympics competing all four days instead of many of them going home after one round of match play,” says Ty Votaw, the IGF vice president. “And in a match play scenario, you would likely be left with four players for the final day, with three of them guaranteed to medal. Where’s the dramatic tension in that? In stroke play, there could be 20 players within three shots of the lead. That’ll breed excitement. And if you’re talking about players from China, India, Brazil…” Here Votaw’s voice trails off dreamily. 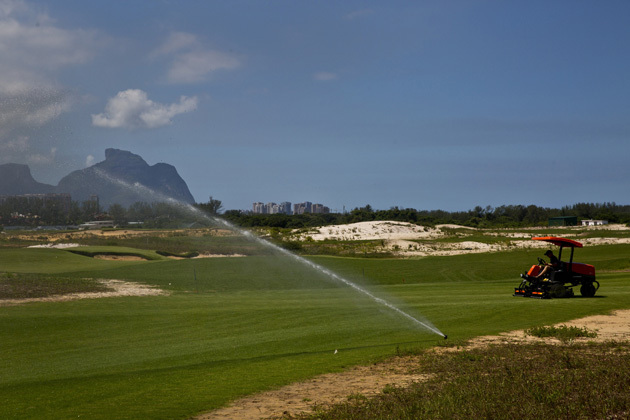 This missionary spirit has informed the creation of the Olympic golf course, which is being built on the edge of an estuary in the Barra da Tijuca zone. When the Games leave town it will be the only public golf course in all of Rio de Janeiro—“another great legacy of this Olympics,” says IOC president Thomas Bach. Yet the course’s birth has been a struggle, with lawsuits related to competing claims of the ownership of the land on which it’s being built and public protests and media controversies about the course’s environmental impact, which is curious given that the site was previously a degraded sand mine. 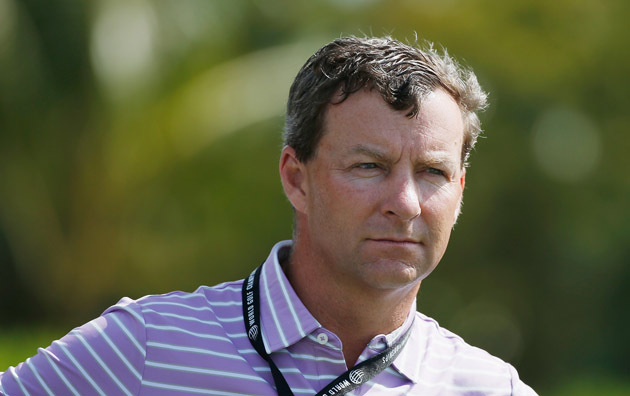 Says Votaw, “I’ve learned to never say never in Brazil, but we believe all of the issues have been resolved and anything else is just background noise.” Undeterred by the endless delays has been the course’s designer, Gil Hanse, who was an underdog in the fierce competition to snag the commission. Hanse is beloved by purists for his natural, minimalist designs but his is a boutique operation compared to the brand names like Jack Nicklaus and Greg Norman he was competing against. Hanse got the nod thanks to an exceedingly clever routing, wonderful use of the natural landforms and gorgeous bunkering that evokes the great courses of Australia’s Sand Belt, such as Royal Melbourne. 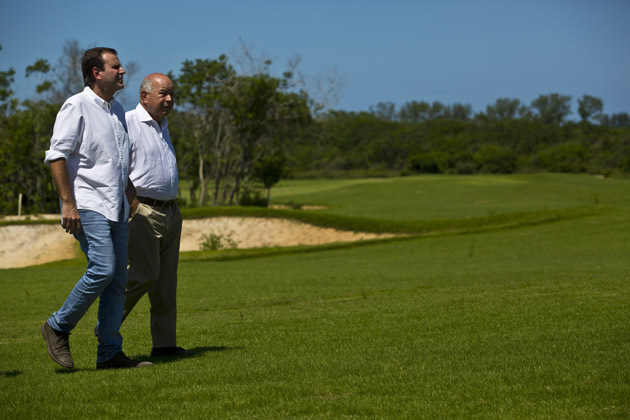 It certainly didn’t hurt that Hanse made a strong commitment to native vegetation and water conservation, which will make the course sustainable into the future.